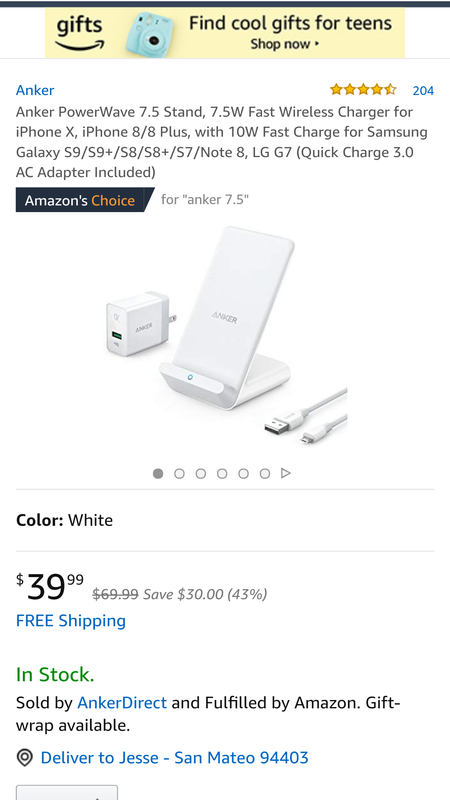 Anker Wireless chargers which one is better from experience? Yes, in my opinion, the PowerWave 7.5 is worth it! Unfortunately, I do not have an iPhone 8 or X, so I cannot speak of the exact benefits you’ll be experiencing, but feel free to check out my video review below nonetheless! The 7.5 pad charges at 5w/7.5w/10w depending on your phone vs 5w/10w on the Qi powerwave stand. The iPhone 8+ charges at 7.5w with wireless so you will see slightly faster charging with the Powerwave 7.5 pad or stand. On the flip side, if you only plan to use the wireless charger to charge your phone overnight, you really don't need the faster speed on the 7.5W charger. 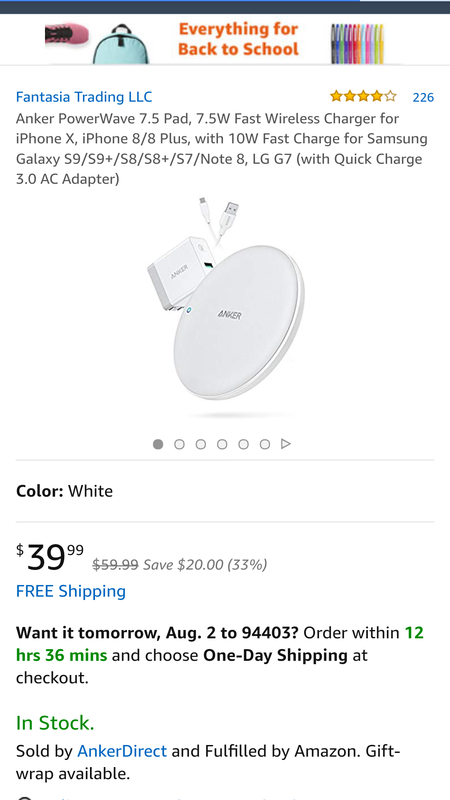 So you could save a little money with the 5W wireless charger. However, if you plan to keep it on your desk at work to charge between meetings for example, you'll probably want the faster charger.